Scientists R Stoopid. You should never trust them and their hairbrained theories. The original story is reprinted below. All men lose hair progressively as they grow older. For some the loss is barely noticeable. For others it is obvious, and when hair loss is severe or occurs at a young age can be very distressing. 1. Hair loss in the temple starts at the anterior hairline and moves backwards. It occurs to some degree in all boys as they transition from adolescence to manhood. Fewer than 5% of adult males retain the straight anterior hairline seen in young boys. Generally the loss in this area is mild. 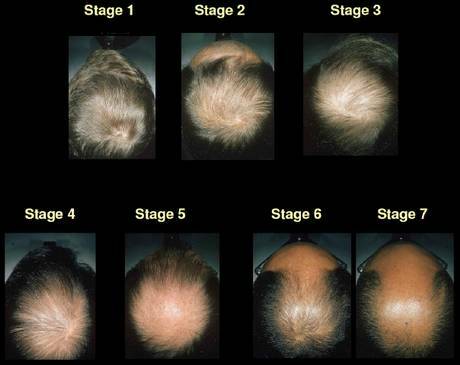 Some men develop noticeable bitemporal recession and this may precede hair loss elsewhere on the scalp by many years. 2. Hair loss on the crown starts around the whorl (at the back of the head), and spreads outwards in all directions to produce a circular baldness. 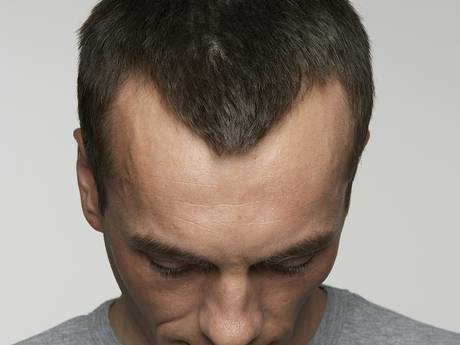 A second, smaller focus of balding occurs at the 6 o’clock border in some men. 3. General diffuse thinning over the mid-frontal scalp (at the top of the head) is often first noticed as widening of the central part-line. This pattern is most prominent in Asian men. It is also the hallmark of female pattern hair loss – the female equivalent of male pattern that affects over 75% of women as they age. One fascinating aspect of this is the way the hair loss spreads from hair follicle to hair follicle without skipping over areas. The effect is that the bitemporal recession produces a slowly expanding triangle of hair loss over each temple, without sparing any of the follicles within the affected zone. The same occurs over the vertex. No individual hairs are spared. While this observation might lead one to speculate on a hair loss chemical moving from one damaged follicle onto the next, no such chemical has ever been identified. Even more baffling is the observation that when hairs adjacent to an enlarging bald patch are transplanted to a different part of the body they still miniaturize on schedule as if they were still growing the scalp. This pretty much rules out a diffusible chemical and suggests the process of hair miniaturization that shrinks the hairs to fluff is already programmed into the hair follicle DNA. In addition to the obvious pattern of hair loss that we are all accustomed to seeing, we discovered a second, invisible pattern of hair loss that produces the hair thinning that precedes the balding. Hair on the scalp is different to hair elsewhere on the body. 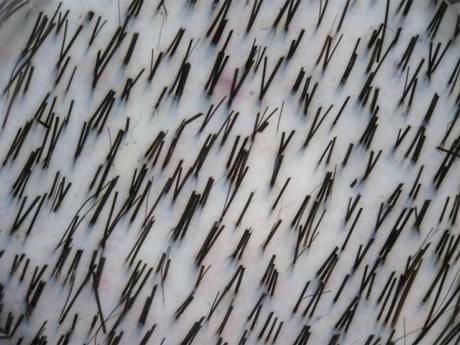 It grows in follicular units that produce tufts of between 2 and 5 hairs that emerge from a single pore. Each follicular unit has a primary hair that is present at or shortly after birth. Secondary hairs develop around the age of 2-3. This is why hair in babies is fine and light and downy, but becomes thick and bushy by school time. When androgenetic alopecia first starts it preferentially shrinks the secondary hairs, so that the follicular units on the affected scalp only produce one terminal hair rather than a tuft of hairs. It is only when the primary hair – the last remaining fibre form the tuft disappears that bald scalp emerges. Overall hair volume can reduce by 50% without any visible bald spot. Women tend to notice that their ponytail thickness is reduced or that their hair shedding had increased long before baldness becomes apparent. As men tend to have shorter hair and might be less observant, they may not notice the hair loss until an actual bald spot has developed. A sunburnt scalp is the first clue they are going bald for some men. The factors that control these two patterns of hair loss progression appear to be hereditary in that identical twins generally lose their hair at the same age, the same rate and in the same pattern. Genetic and epigenetic factors seem to be involved in this. The actual mechanics of these factors produce hair loss are still yet to be worked out, but this has not stopped doctors working the pattern of patterned hair loss to their patients advantage. The flip side of having scalp regions that lose hair preferentially is that there are also scalp regions that do not lose hair – namely the back of the head (or occipital scalp). Knowing that hairs can be shifted around the scalp while retaining their pre-programmed preference to bald or not to bald is the basis of hair transplantation surgery. 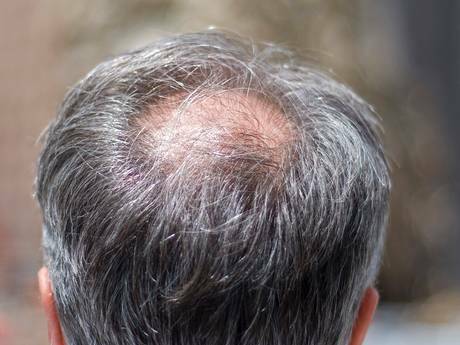 Many thousands of men and women around the world have been able to conceal their baldness by borrowing hairs from the back of their head to fill in gaps on the front. Combining new medical therapies for hair loss together with surgery means that for some men, going bald is now optional. So given that you have your own views on baldness and scientists are wrong regarding this matter, are you going to submit a paper showing them why their view on baldness is incorrect? You are focusing on problems like causes for hair loss. Why don’t you work on the solution instead ? What solution? If someone masturbates excessively and causes their hair to fall out in a masturbation related pattern, there is no solution. Their hair is gone and is not going to come back.